1. Pour the milk into the bowl. Be careful not to move the bowl, you want the milk as still as possible. 2. 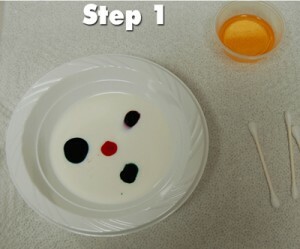 Put one drop of each color in different places in the milk. 3. 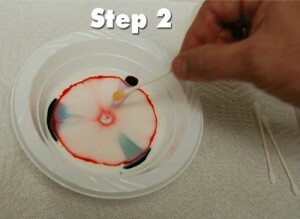 Put just a tiny amount of soap on the end of the cotton swab, then touch it to one of the colors. WOW! 4. 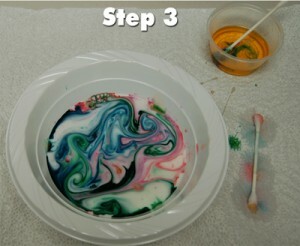 Let the experimenting begin! 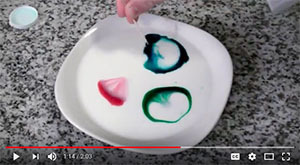 Click here to watch this video experiment on our youtube page.